Ásgeir Ásgeirsson hefur verið einn af eftirsóttustu gítarleikurum þjóðarinnar um árabil og leikur jafnt popp, jazz og heimstónlist. Hér fagnar hann útgáfu á hljómplötunni Tríó. Fyrri sólódiskur Ásgeirs kom út árið 2006 og skartaði þeim Chris Cheek, Matt Penman og Erik Qvick. Sú plata var tekin upp í New York og var framsækin nútímajazz og var eitt lag af þeirri skífu tilnefnt til íslensku tónlistarverðlaunanna það ár. Á hljómplötunni Tríó hefur Ásgeir samið tónlist sem lýsa má sem hefbundinni djasstónlist þar sem hefðin og einlægnin er í fyrirrúmi og spannar hún marga stíla innan djassins allt frá bossa nóva til fönks til sálmadjass. Flytjendur á plötunni eru fjölmargir og spanna margar kynslóðir tónlistarfólks af báðum kynjum. Á útgáfutónleikunum mun Ásgeir flytja lögin af plötunni með tríói sínu, auk gesta. Asgeir has been one of the most prominent guitarist in Iceland for many years performing all kinds of music, from pop, rock, jazz and world music. Asgeir will celebrate the release of his second soloalbum, Trio. His first solo album released in 2006 called Passing through, recorded in New York and included players like Chris Cheek, Matt Penman and Erik Qvick. That album was nominated to the Icelandic music awards and has great reviews everywhere. 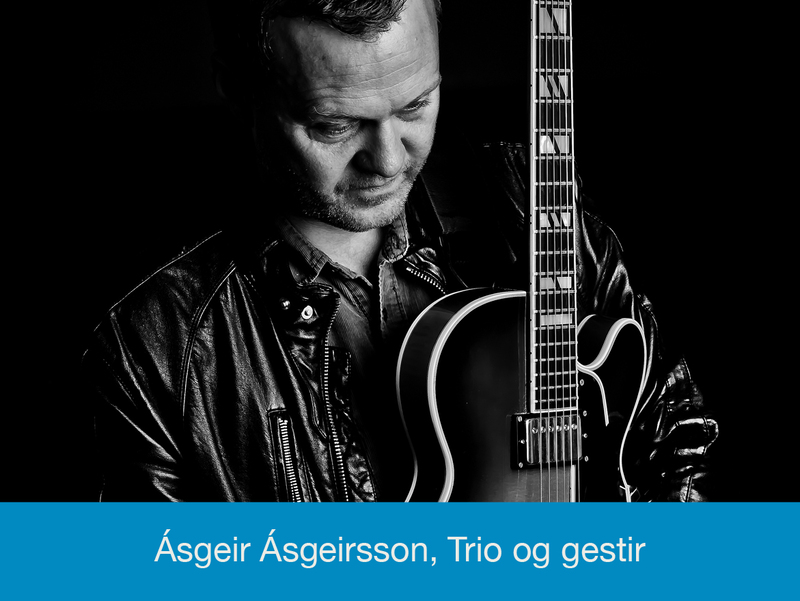 On this record Asgeir has written music specially for jazz trios he has been a part of during the recent years and on the record he has four different trios performing his music. The artists on the recording span many generations of jazz musicans. The music can best be described as a traditional jazz music and covers many different styles within jazz, spanning from bossa nova to funk to old jazz. On the release concert Asgeir will perform with a jazz trio and guest artists.